iPad Says No Service – Thanks to modern developments and technological advancements, more and more usable technologies are currently out in the market. Technologies such as computers, iPhones, and iPads are now an integral part of everyday living. This is why when something unexpected happens to your beloved tech, you instantly become inconvenienced. For instance, if you are currently in the middle of doing something, and your iPad suddenly says no service, you immediately start panic. However, you do not need to worry since there are a number of ways you can fix it. If you notice a no service message in the status bar of your iPad, you do not need to panic. The status bar in your iPad only shows the strength of the signal of your network carrier. This means that if you are somewhere outside the reach of your network carrier, a no service message might show up in the status bar of your iPad. 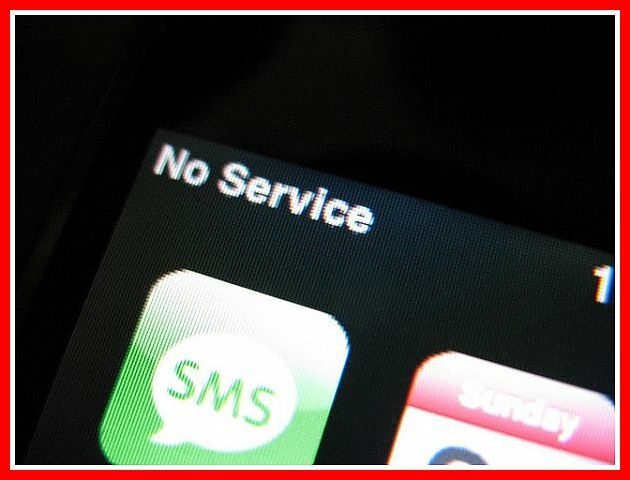 However, if you repeatedly see a no service message on your status bar even while you are still within the coverage area of your network carrier, keep calm and just follow these tips to fix this ipad problem. Here are steps to fix iPad Says No Service. Follow the following tips and make sure to test your iPad after each step. Click settings, then look for airplane mode and enable it. Wait for five seconds, then switch airplane mode off again. Once done, reboot your iPad. Next, try removing your SIM card. Thoroughly check it for any damages. For instance, if your SIM card is broken, bent, worn or if it is too small or big for your SIM tray, contact your network carrier for a new one. Have it replaced immediately. If you need a new one, wait for it. However, if after you inspected, you did not find any damage or problems with your SIM card reinsert it into the SIM tray. Double check if there is a carrier-settings update. Maybe you missed one or maybe you even purposefully skipped it. Either way, check it again. You can do this by first, connecting to a Wi-Fi network. Next, click settings, look for general and then under general, look for about. Click it and then look for and install any new available updates for carrier-settings. However, if you cannot connect to Wi-Fi, just connect your iPad to a computer, laptop or netbook that has iTunes. If steps one to four did not work, and your iPad still says no service, you might need to update it to the newest version of iOS. Another thing you can do is to simply reset your network settings. You can do this by clicking settings, then go to general, under general look for reset, and finally, under reset look for network settings. By clicking network settings, you will be resetting all of your network settings which include Wi-Fi passwords, Bluetooth pairing records, APN and VPN settings. If none of the above is working and your iPad still says no service, you might want to contact your network carrier to check for any account or network issues. So if your iPad suddenly says no service, just keep your calm and follow these simple tips in order to fix your iPad Says No Service issues.